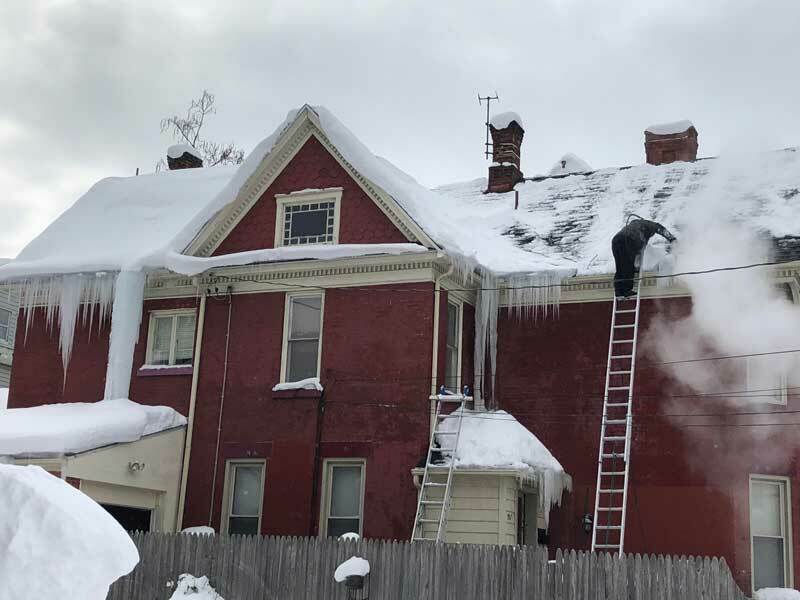 Our California ice dam removal service uses steam to remove ice dams from roofs. California is known for it’s beautiful sunny weather, California also gets clobbered by snow storms. Which often leads to ice dams on roofs in the cold mountainous areas. An astonishing 95 feet (1,140 inches) was recorded at Mount Baker Ski Area during the July 1, 1998, to June 30, 1999, season! Californians usually see snow melting fairly quickly, but in mountain areas it tends to stay cold and because of this it makes the perfect climate for ice dams to form. If your property in a California area does get ice dams please contact us. We are California ice dam removal experts. We understand the urgency of ice dams removal. We can arrive quickly to your California property to steam away your worries. If you need a California ice dam removal service, we are proud to announce our membership with Ice Dam Steaming Association For Education. IDSAFE certifies we are using low pressure high temperature steam that will most importantly not damage your roof like a high pressure machine. With a service such as this you want to avoid any roof damage. Please visit the association for more information on pressure washers versus steamers. We have more YouTube videos on ice dam removal using steam than any company in the world. Please feel free to watch the video below or click the link above to visit our channel. We are fully insured and experienced with ice dam removal using steam. In a lot of cases we can work directly with your insurance company to cover the costs of our ice dam steaming services. Such as if you water damage from the ice dams.